A bit dark for my tastes but a nice scheme, none-the-less. Mods, just a thought: shouldn't this thread be integrated with this one? Saved it and have only yet scanned through it, but it looks good. Especially the bits about the Russian and Chinese threats she may face. Eurofighter Fulcrum. What config do you prefer? That's something I have thought about, too (because I have a Eurofighter two-seater in the stash without a plan, was part of a cheap lot), with a "conventional" layout. 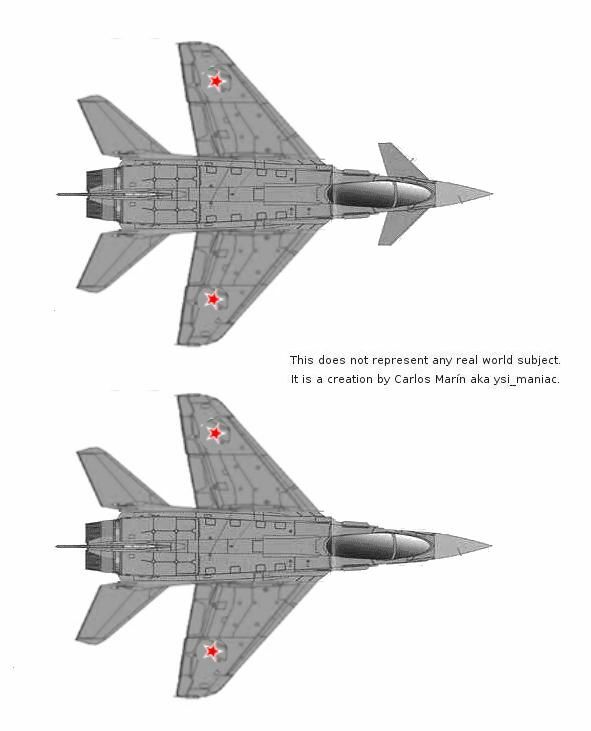 I actually prefer the simpler, lower design without the canards, because it better changes the typical/familiar Eurofighter look. Just wonder about the operator/origin? Russia? India or Pakistan might be plausible, too? A cheeky option could be North Korea (the first "indigenous" fighter, definitively with nuclear strik capability...), or alternatively China...? You'd think that tanks like that would go against all the intents of the Area Rule. Actually a Typhoon ITSELF goes against the Area Rule, so has it been revoked? Forward swept wing or stealthy Typhoon anyone? Nope, they just learned how to use it more effectively.